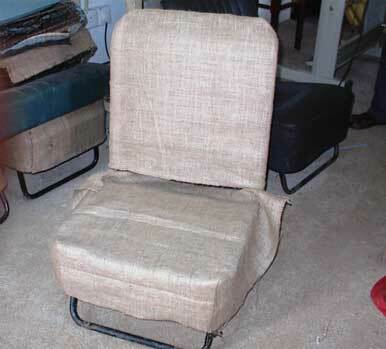 Saman has made a kit for refurbishing a front seat. 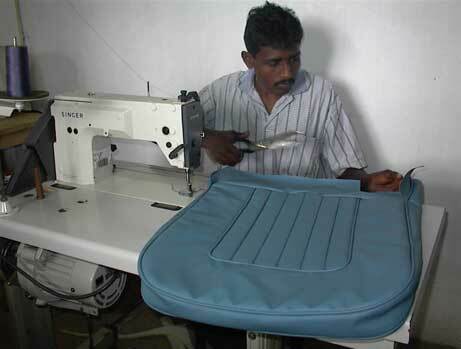 It is in top quality and it seems very easy to fit when Saman is doing the job. At first the seat piece is fastened front and rear, next at the sides. He pulls a little here and tightens a little there, slap it and push it, and in no time it is absolutely perfect. I think you and I have to spend more time before we are happy with our result. Instead of the rubber straps he has made a set of springs. The white cotton is for the edges of the seat and back rest. 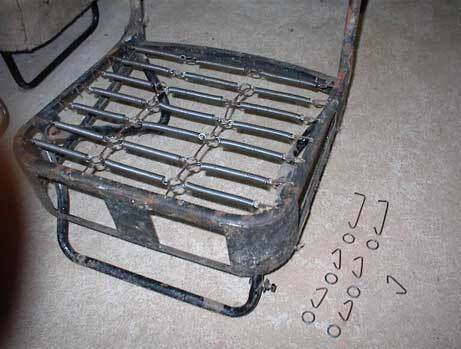 Everything for a seat is in the kit and it is fairly easy to see how to fit it. Only basic tools is needed for the job, hammer, pliers, scissors, knife, screwdriver and some glue. 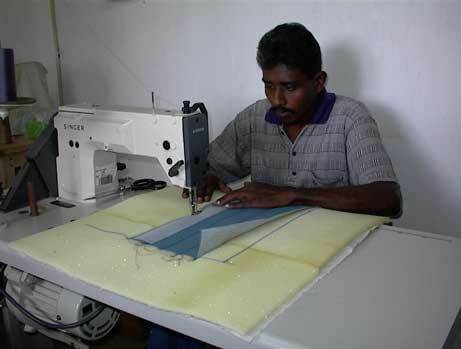 Saman at the sewing machine. The back rest cover nearly completed. No doubt, this will last for a long time. 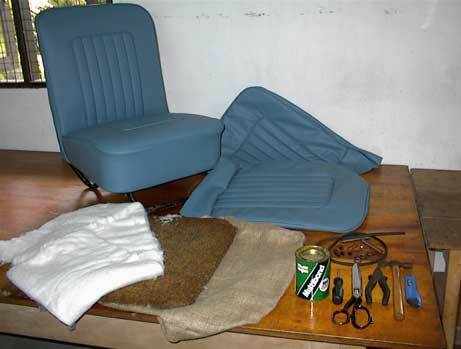 A new seat and the materials for one more. In the right side Samans tools.